Ted Williams is famously quoted as having said “They created the All-Star Game for Willie Mays!” The truth is, of course, that the All-Star Game (created in 1933) was around a long time before Willie played in the first of his record-tying 24 mid-Summer Classics (tied with Henry Aaron and Stan Musial). And it continues to be one o f the highlights of the MLB season. Other members of the 600 Home Run Club truly shined in their own way. The Dominator from the Dominican Republic, Sammy Sosa played in six All-Star Games 1995-2004. 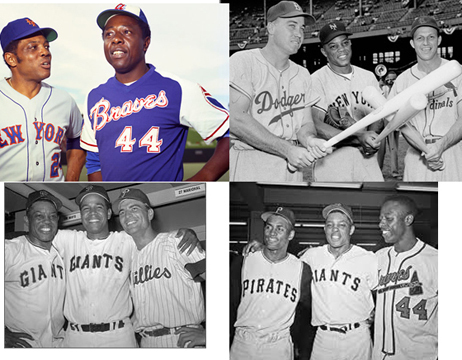 Although he batted a paltry .154 – going 2-14 overall, he was among the most beloved and popular players on and off the field. And nowhere was he more comfortably “on stage” than during the annual All-Star Home Run Derby. In fact, he won the HR Derby in 2000 with 26 signature blasts. He hit a total of 48 long balls during the six “extra-innings” of the Home Run Derby. Unfortunately, since he never ran to first base, the fans did not get to see his signature home run hop. 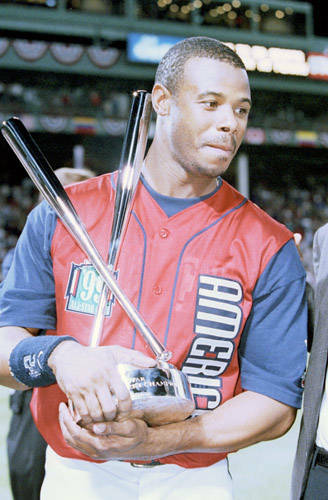 Ken Griffey, Jr. also had his way with other players during All-Star games, wherein he batted .480 with a Slugging Percentage of .680 – Wow. 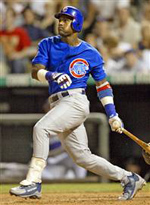 He also dominated the plate during numerous All-Star Home Run Derbies, winning it all in 1994 (with 7 final round dingers) and then again over two consecutive years (with 19 homers in 1998, 16 homers in 1999) and coming in second to the aforementioned Sosa with 11 in 2000. Overall “Junior” hit 70 All-Star Derby homers between 1992-2000. That’s a lot of fan entertainment.